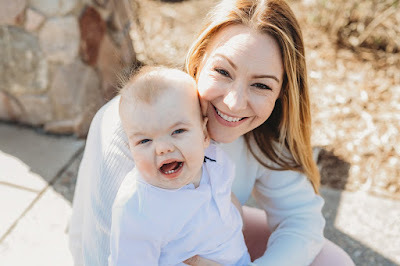 So many times I have sat down to write about how things are progressing only to be smacked in the face with a new obstacle for Finn to overcome. I don't believe in jinxes or karma anymore, but inevitably each time I begin to talk about something positive we are knocked down a few pegs. I couldn't possibly be impacting my son's recovery by sharing his accomplishments, could I? I didn't tell anyone he was going to be extubated this time around. I usually request positive thoughts, prayers and love to be sent to Finn before the big events but this time I didn't. Instead I kept it between us. On Saturday August 12th at 3:30 PM he was extubated for what I hope is the last time. As we approach the 72 hour mark I am starting to breathe easier as well. There is no set time to say that he has been successfully extubated but the further away we get from that tube the better. Yesterday he was put on high flow and the team is weaning down, slowly, from there. At rounds this morning when discussing which diuretic to give Finn our intensivist said "we need to make sure it's something oral so he can take it home." That word, home, means something so different to the mother of sick child. It's almost a mythical place and we don't even like to say the word. At my support group we call it the "H word" or "vacation." When your child has lived the majority of it's life in a hospital bed hooked up to IV medications and monitors you have mixed feelings about discharge. It's scary and exciting at the same time. Since being off ECMO and extubated we have had some experiences that are profound. As a mother of a heart healthy child I never knew that some of the milestones we have hit would be so meaningful. One of the most impactful was Sunday night. Our nurse helped to get Finn in my arms so I could rock him to sleep. 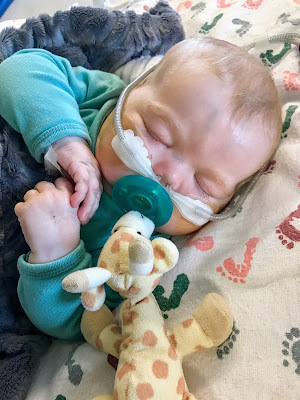 When he had a breathing tube he could barely be held and most certainly not rocked. Then, he said "I am going to step out and chart in the hallway. Here is the call button if you need anything." My eyes fill with tears just reliving it. I couldn't control the emotions and starting sobbing. I haven't been in a room alone with my son in almost five months. For two-thirds of his life I have had to be accompanied by a nurse. Every word said to him, every kiss, song, diaper change and tear has been monitored to keep him safe. On Sunday night I was granted time alone with my darling babe. To rock, sing, cry and read stories without the watchful eye of a medical professional. Social Work stopped by today to talk about home nursing care, our NP wanted to talk high-level discharge timing and one of our favorite nurses brought up training. None of those topics had come up with how Finn was progressing previously. My head is spinning with excitement and anxiety as I actually start to see the light. The thought of taking Finn outside this room, let alone the hospital or even to the "H word" is crazy. He could be home in as little as two months if he stays on this trajectory. I am not holding my breath (pun intended) knowing that he hasn't made anything easy so far, but it feels good to think about.